The Straight Wall is one of the most widely imaged features on the Moon, but every once and a while yet another image shows us something new. Zac Pujics view documents things we know and a little bit more. What we know is that the Straight Wall itself isnt completely straight - it has four or more small offsets. The second from the top (north) corresponds with the Walls intersection with a faintly visible, older rille or fault that extends to the upper right. The southern-most offset seems to be the end of a curved rille that doubles back to the rille about 10 km to the north. 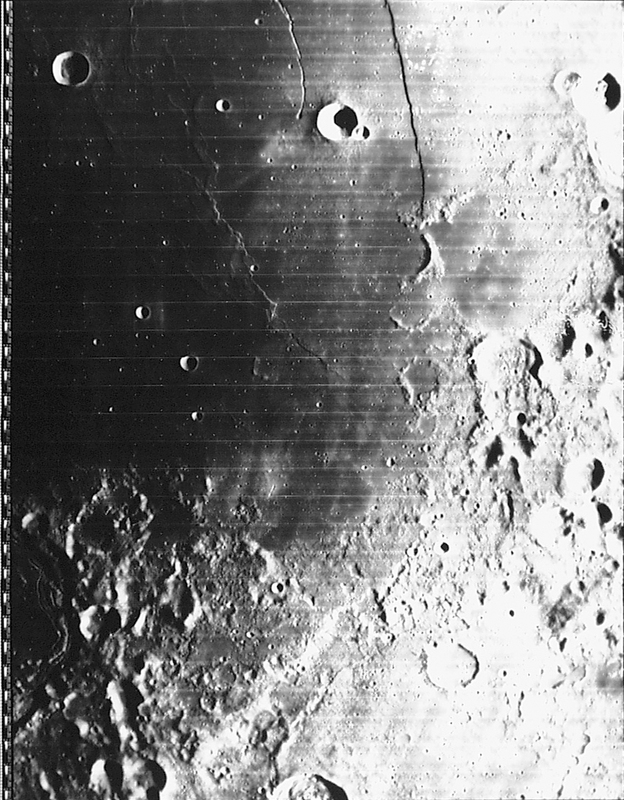 This short rille does not show up on the Lunar Orbiter IV image and is new to me. It is also well known that the Birt Rille also has some offsets, and Zac suggests that the northern one may be a place where the roof of a lava tunnel under the rille has not yet collapsed. In my mind the Birt Rille is very bizzare because it seems to have a source crater at each end, so if there is a lava tunnel, I dont know which way it flowed! Zac also notes that there may be a very small rille just to the right near the south end (bottom) of the rille. 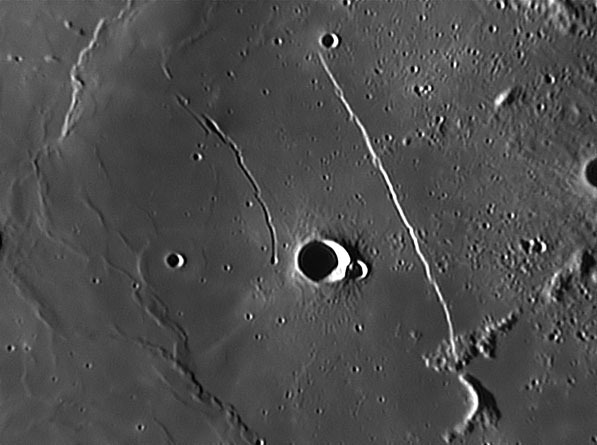 The existence of these two suggested new rilles is uncertain so even more images are needed of this remarkably photogenic feature! This page was last modified on 15 March 2015, at 15:13.